IOCL Recruitment 2018 Job alert both Fresher and Experienced can get IOCL recruitment 2018 updated on January 5, 2018 notification on recent IOCL recruitment 2018 openings across India. This is an exclusive page updated on 05.01.2018 for the latest recruitment notification iocl.com from Indian Oil Corporation IOCL 2018 it contains both active and recently expired Job openings and recruitment notification from IOCL 2018. IOCL Recruitment 2018-19: Apply Online for 32 Engineering Assistant, Technical Attendant I Vacancies in IOCL recruitment 2018 Across India. New recruitment Jobs 2018 notification iocl.com published for the post Engineers/ Officers, Assistant Officer in IOCL recruitment 2018 read complete details before applying. 51 Vacancies in IOCL for the post Junior Engineering Assistant. 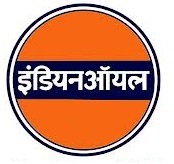 For Junior Engineering Assistant : 3 years Diploma in Chemical/Refinery & Petrochemical Engg. Mechanical or Electrical Or B. Sc. (Maths, Physics, Chemistry or Industrial Chemistry) from a recognized Institute/University. For Junior Quality Control Analyst : B.Sc. with Physics, Chemistry/Industrial Chemistry & Mathematics with minimum of 50% marks in aggregate for General & OBC candidates & 45% in case of SC/ST/PwBD candidates against reserved/identified for PwBD positions. through Net-Banking only. SC/ST/PwBD candidates are exempted from payment of Application Fee. How to Apply IOCL Vacancy : Interested candidates may apply Online through the website www.iocl.com form 06.01.2018 to 20.01.2018. Candidates may also send hard copy of Online application along with all supporting documents & Photograph under self attestation by ordinary post to Dy. General Manager (HR), Barauni Refinery, P.O. Barauni Oil Refinery, Begusarai, Bihar – 851114 on or before 31.01.2018. IOCL Recruitment 2018 Job alert both Fresher and Experienced can get IOCL recruitment 2018 updated on December 27, 2017 notification on recent IOCL recruitment 2018 openings across India. This is an exclusive page updated on 27.12.2017 for the latest recruitment notification iocl.com from Indian Oil Corporation IOCL 2018 it contains both active and recently expired Job openings and recruitment notification from IOCL 2018. For Engineering Assistant: Three years full-time Diploma (or two years through lateral entry after ITI of minimum one-year duration) in relevant disciplines of Engineering from a Govt. recognized Institute. For Technical Attendant: Matric / 10th pass and ITI pass from a Govt. recognized Institute in the specified ITI Trades and duration as mentioned below* from a Govt. recognized Institute/Board & possess Trade Certificate / National Trade Certificate (NTC) issued by SCVT/ NCVT. Application Fee: Candidates have to pay Rs.100/- through Online. SC/ST/PwBD candidates are exempted from payment of Application Fee. How to Apply IOCL Vacancy: Interested candidates may apply Online through the website www.iocl.com form 26.12.2017 to 15.01.2018.